I am so thankful to slowly but surely be able to get back to my role as a Mom. I soooo miss it! Fibro took over for many years and I feel like I missed out on so much. Including being a Mom. So, as my condition is being reversed and I am getting my quality of life back, I am able to do MORE including Mommy stuff. 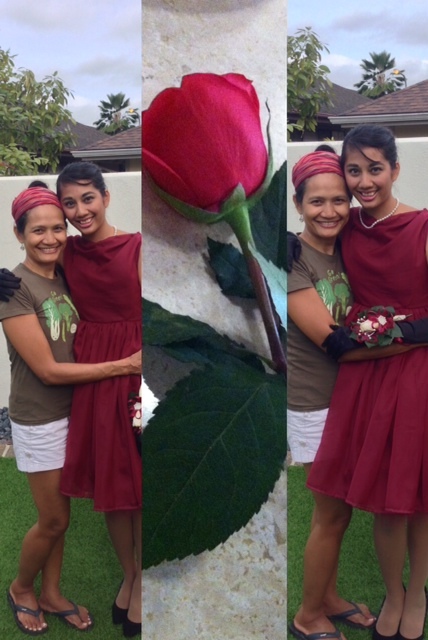 I was able to help out my daughter prepare for her prom night and it was so much FUN! But how in the world did she get to be so much taller than me? Even without her heels? She has grown to be such a beautiful young lady. Am thankful for the opportunity to nurture and raise my little girl who is now taller than me.